選購 Apple Watch 時，同時購買 AppleCare Plus，更可申請免息分期，又或者消費同時儲 Asia Miles! Starting today, Apple Watch Series 4 & Nike+ is available at Original. The new Apple Watch S4 comes with an S4 processor chip and is now twice as fast as S3; two new sizes - 40mm and 44mm with a 30% larger display provide more information with richer detail (also compatible with the previous watch bands). Also, fall detection with custom algorithms to identify when hard falls occur - it will automatically call and send a message to your emergency contacts using SOS feature; In addition, it will send a notification to you if it detects irregular heart rhythm - an intelligent guardian for your health. Please contact our stores for the stock availability. 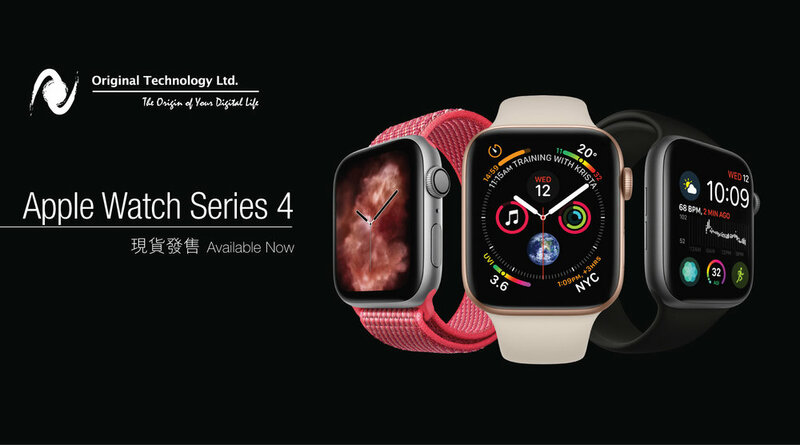 Each customer can only purchase two Apple Watch S4 due to limited supply. Also, you can enjoy interest-free installment together with your purchase of AppleCare+, or earn Asia Miles while spending at Original!